Fights the signs of fatigue. 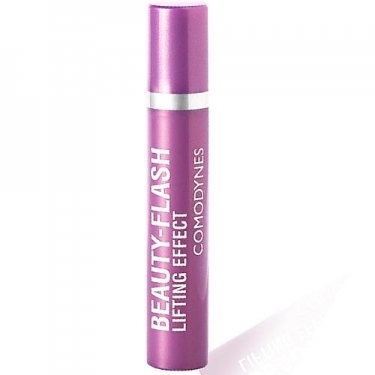 DESCRIPTION: Beauty Flash Lifting Effect from Comodynes is a shock-treatment spray to reduce wrinkles and fight the signs of tiredness on the skin. 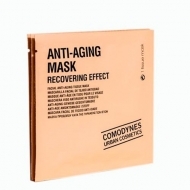 Toning care that results from the combination of active ingredients: Lift-active complex, hyaluronic acid, glycoprotein, proteins and plant extracts for a firming, moisturizing, tensioning and toning action immediately for a toned, smooth and luminous skin. 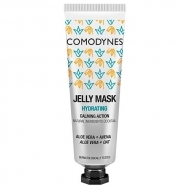 It is a great make-up base, comfortable and easy to carry, with no mineral oils, no parabens, no dyes and no perfume. For firming effectiveness - spray 10 times.